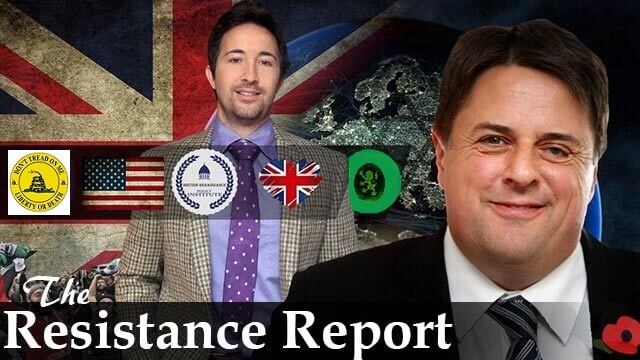 Nick Griffin, who represented North West England as a Member of the European Parliament (MEP) from 2009 to 2014 sits down with Resistance Radio's Jack Sen to update the dire situation Theresa May and her globalist owners have put us in. Are they really going to steal Brexit from us? The second part of this broadcast is available to ResRadio subscribers only. In it Nick and Jack discuss the state of British nationalism, the latest with Tommy Robinson's situation and other topical stories. The next podcast, the latest in depth conversation with former MEP Andrew Brons, as the vast majority of future recordings will be, has been recorded in the studio.